Electricity generation involves the transfer of energy from one form to another. The energy sources used in the generation of energy can be classified as two types. Non renewable energy is the name given to energy sources which once used cannot be replaced. Examples of non renewable energy resources are fossil fuels and nuclear fuels. Fossil fuels such as coal, oil and gas get there name because they are formed from the fossilized remains of dead plants and animals. The generally accepted theory is that fossil fuels were formed many millions of years ago by geological processes acting on dead animals and plants (exposure to heat and pressure from the Earth’s crust). These fuels take many millions of years to form and are currently being depleted (used up) much faster than new ones are being formed. These are radioactive elements which undergo nuclear reactions (fission) in nuclear reactors generating nuclear energy which in turn is used to generate electricity. Nuclear fuels such as Uranium or Plutonium are mined from the Earth’s crust. These are of limited supply and cannot be replaced therefore once used are gone forever. 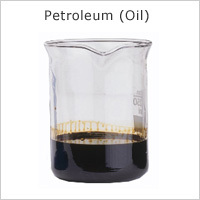 Petroleum is a fossil fuel formed by heat and pressure from the Earth’s crust acting on the fossilised remains of dead animals and plants. Petroleum reserves exist in the Earth’s crust sandwiched between layers of impermeable rocks and porous rocks. The petroleum is extracted from these reservoirs drilling oil wells and sinking pipes into the reservoirs to pump the petroleum out. Products of combustion (the gases given off when burnt) are atmospheric pollutants and greenhouse gases. Accidents during transport, extraction and refining cause major environmental pollution. Natural gas is a fossil fuel. Its formation is similar to that for petroleum; however the conversion of the fossilized remains of the dead plants and animals to gas occurs at deeper depths in the Earths crust where the pressure and heat is greater. 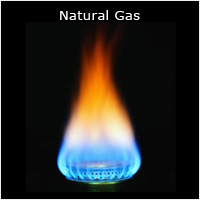 Natural gas is extracted in a similar way to petroleum by drilling holes and sinking pipes into the gas reservoirs, the gas travels to its surface under its own pressure. Is the cleanest of the fossil fuels. Produces greenhouse gases and atmospheric pollutants when burnt. Coal is a fossil fuel. Coal is formed from the fossilized remains of plants that once grew on the earth. The action of the pressure and heat of the Earths crust over millions of years converts the fossilised remains of these plants into coal. 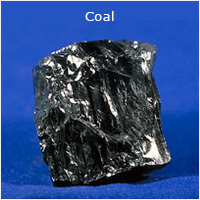 Coal is mined from coal seams in the Earth’s crust. Where the coal is near the surface of the Earth, open cast mining is used but in areas where the seam is deep underground mining is used to extract the coal. Of all the fossil fuels coal has the largest reserves. It is relatively easy and inexpensive to extract. Open cast mining damages the landscape and ecosystems. The burning of coal produces gases that are atmospheric pollutant and greenhouse gases. Due to the large amount of greenhouse gases coal produces power station require expensive pollution control measures. The most common form of nuclear fuel is Uranium. 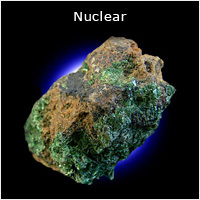 Uranium is a common metal found in rocks all over the world. However, the particular form of Uranium best suited as a nuclear fuel is Uranium – 235 and this is very rare. Uranium – 235 is extracted via mining and then processed to make it usable as a fuel. Small amounts of fuel produce a large amount of energy. Does not produce atmospheric pollutants and greenhouse gases. Produces small amounts of waste. Although small amounts of waste are produced, the waste is very dangerous. The waste needs to be disposed of carefully and responsibly. The risk of a nuclear accident can have catastrophic consequences as was the case of Chernobyl.